The Energy Department wants to undo an Obama-era rule designed to make lightbulbs more efficient. We're not talking about those pear-shaped bulbs. They've already changed over. This new proposal involves just about every other kind of lightbulb. Here's NPR's Jeff Brady to explain. JEFF BRADY, BYLINE: In the past decade, the push for lightbulbs that use less energy has made a lot of progress, and that can make the lightbulb aisle at a big-box store a little confusing. JOHN PENNICK: I'm looking for a bulb to go inside of my refrigerator. BRADY: John Pennick is holding a burned-out, 40-watt incandescent bulb in one hand and a package of LED bulbs in the other. He likes that the LEDs use one-fifth the energy. But on the package, it says they're dimmable. BRADY: He opts for the old incandescent. Though, it turns out, the dimmable LED would have worked just fine. This learning curve is part of a big change under way in the lighting business. Noah Horowitz with the Natural Resources Defense Council says the country has been using incandescent bulbs for more than a century. NOAH HOROWITZ: Today, we have LEDs, and they do everything the old incandescent could do, except waste energy. BRADY: You see the pear-shaped LEDs everywhere now. At issue here is a wide range of other bulbs - decorative globes used in bathrooms, reflectors in recessed lighting, candle-shaped lights and three-way bulbs. At the very end of the Obama administration, the Department of Energy decided these also would have to become more efficient. The lighting industry sued. The Trump administration sided with the industry and now wants to reverse the regulation. Horowitz says that will translate to higher energy bills and more pollution. HOROWITZ: Now we're going to have to generate about 25 large, coal-burning power plants' worth of extra electricity if this rollback goes through. This is really unnecessary and a really bad idea. And on top of that, it's illegal. BRADY: That last point is a question a judge likely will decide. The National Electrical Manufacturers Association argues the Obama administration exceeded its authority by including all these specialty bulbs. General counsel Clark Silcox says it's wrong to call the Trump administration's proposed reversal a rollback. CLARK SILCOX: The Department of Energy cannot illegally roll back from a place that it could not legally stand upon in the first place. BRADY: That is important to the industry because rolling back energy efficiency requirements is not allowed under federal law. And Silcox rejects claims the industry just wants to continue selling existing styles of bulbs. SILCOX: I don't think anybody's focused on we want to sell energy-hogging lightbulbs at all. What they are focused on is, what does their consumer want and making sure that there is a high level of consumer satisfaction. BRADY: The industry learned a hard lesson after the first generation of those curly, compact fluorescent lightbulbs were released. JENNIFER DOLIN: Consumers basically did not like them. They didn't buy them. They complained about them. We heard that loud and clear. BRADY: Jennifer Dolin is with the company LEDVANCE, which manufacturers Sylvania lightbulbs. 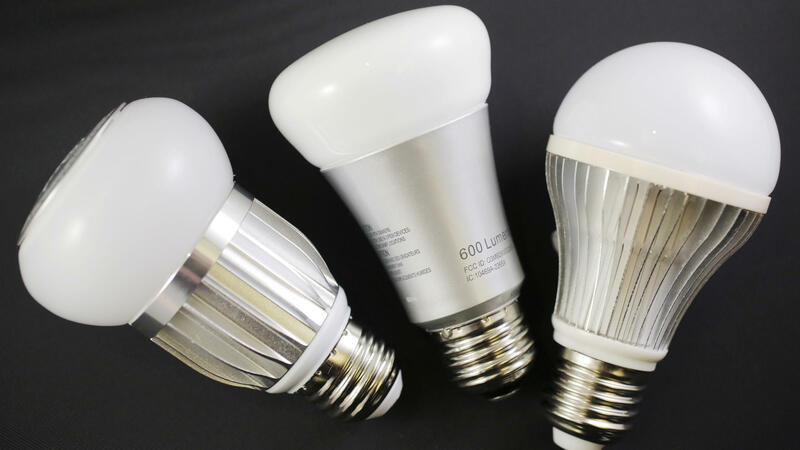 She says the industry wants to make sure it gets the LED versions of all these other kinds of bulbs perfected before releasing them onto the market. She says more efficient bulbs are coming, just not as fast as most advocates want. DOLIN: The future of lighting is LED. There's no doubt about that. And we see that in the marketplace. We see that consumers are shifting to LEDs at a much more rapid rate than we ever anticipated. BRADY: But given climate change, environmental groups argue this regulation is needed now. When the Trump administration finalizes its reversal, those groups plan to take the issue to court. Jeff Brady, NPR News. Transcript provided by NPR, Copyright NPR.